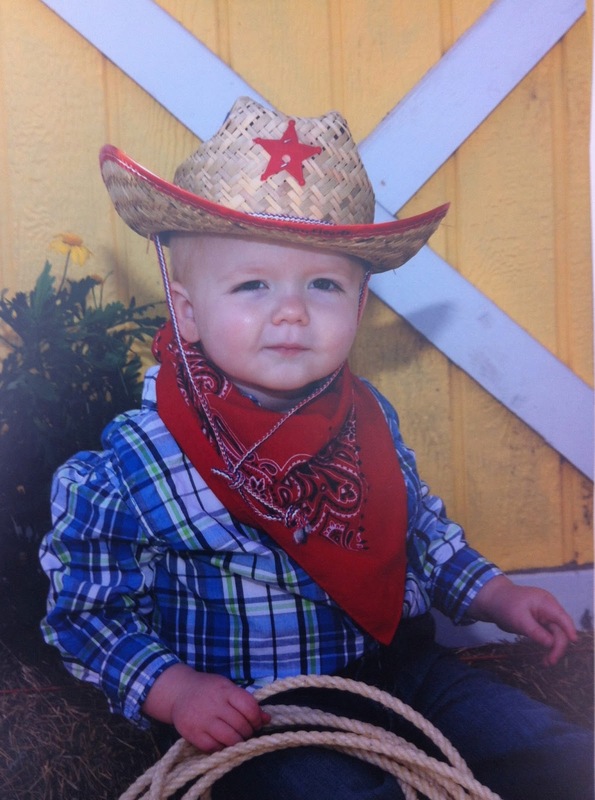 Every year the boys school takes “cowboy” photos of my children. I really don’t know why. It is not around Go Texan day and we don’t live in the country so it is baffling to me. 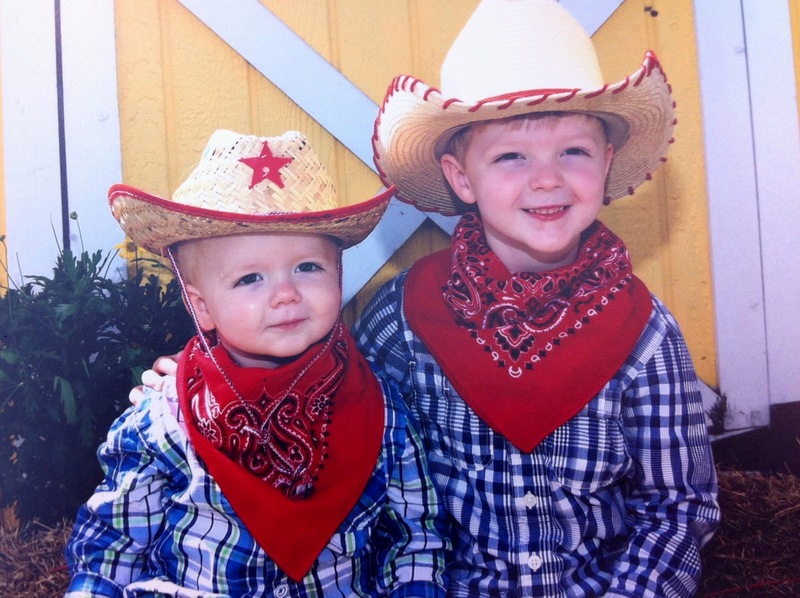 They put cowboy hats and bandannas on the children and make them hold ropes and horseshoes. And like a sucker I always buy them because I think my children are precious and need all photos of them, even the cheesy ones. So this year I knew they were coming and put the boys in their coordinating blue plaid shirts (well the Wall’s did because I was out of town for work. Again.) with jeans and Zach brought his own hat. I had reasonably high expectations as the company that does the photos must be made of magicians. 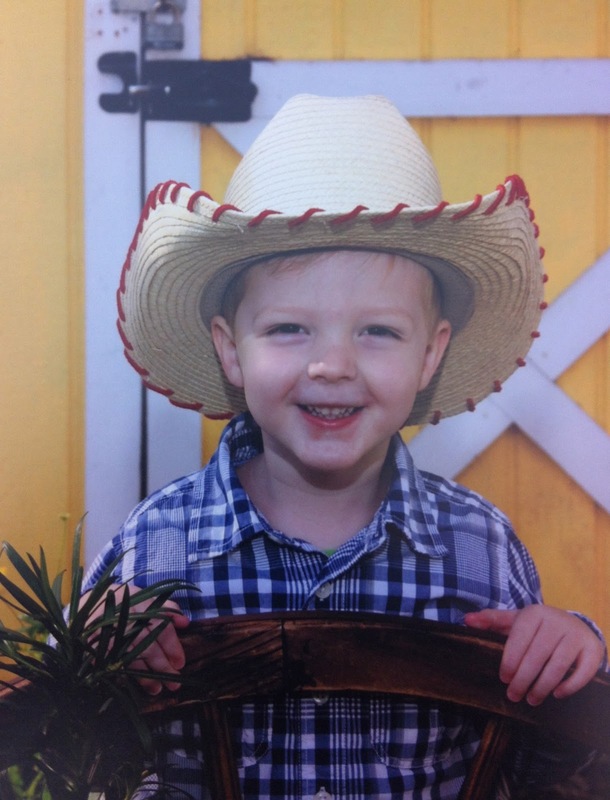 Usually the photos they get of kids are significantly better than you would think. Oh James….why so angry and grumpy? Someone said he looked like Curly from City Slickers and I have to agree. Minus the cig and it is very, very close. He is so displeased with the photographer’s choice of rope and hat. He is not impressed with the whole procedure. Do you see that I am not exaggerating?? James is mildly unimpressed the majority of the time. Then look at this precious boy. He is so happy and excited to be wearing his hat and clutching that wagon wheel. James gave a more pleasant look once he was joined with his brother. Still not a smile but less threatening at least. And my four year old just beaming. He is the best I tell you.